Several weeks ago, we had the pleasure of visiting ATT-Performance, a tuning shop located in Rastatt, Germany. The company is a well-known entity among the German tuning scene aficionados, producing some high-quality aftermarket builds each and every month. Thanks to their wide knowledge and experience, combined with a hefty load of already completed vehicles, it’s no wonder that their Cars & Coffe events are some of the most visited tuning events in Germany these days. However, one of the center points of their recent event was a highly modded Alpine White BMW M2, complete with almost every imaginable aftermarket addition from their catalog. ATT-Performance were one of the first customers to receive – during that time – a brand new M2. It’s no wonder, after all, they have a mint condition BMW 1M in their inventory, alongside several other client cars. 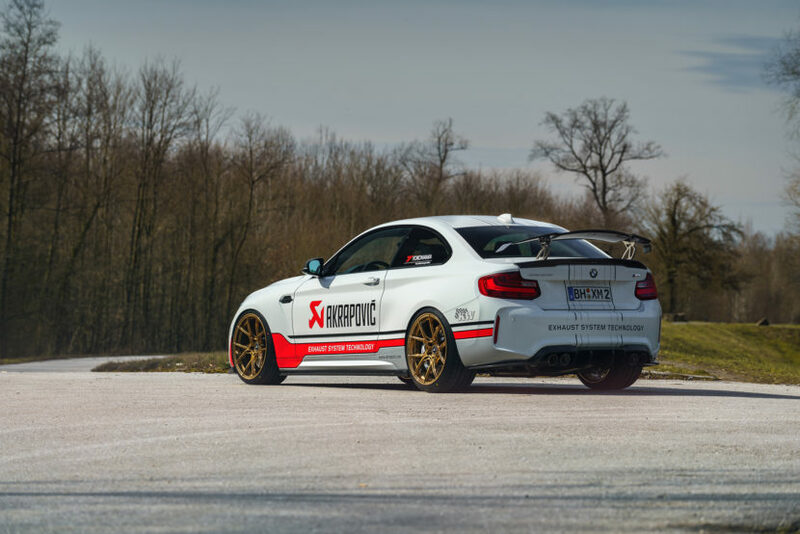 This particular M2 Coupe features a series of aero upgrades from Vorsteiner, including a racing wing on the boot lid and various carbon fiber parts throughout the exterior. The wheels come courtesy of 1221 Wheels and are painted in a gold color. 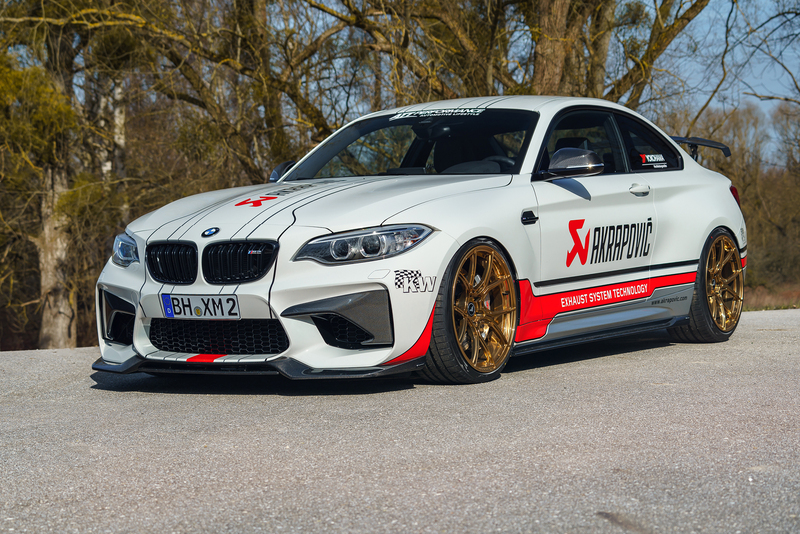 Judging by the large Akrapovic decal on the sides of the M2, it’s fair to assume that the Slovenian exhaust maker was responsible for improving the sound of the sporty coupe. 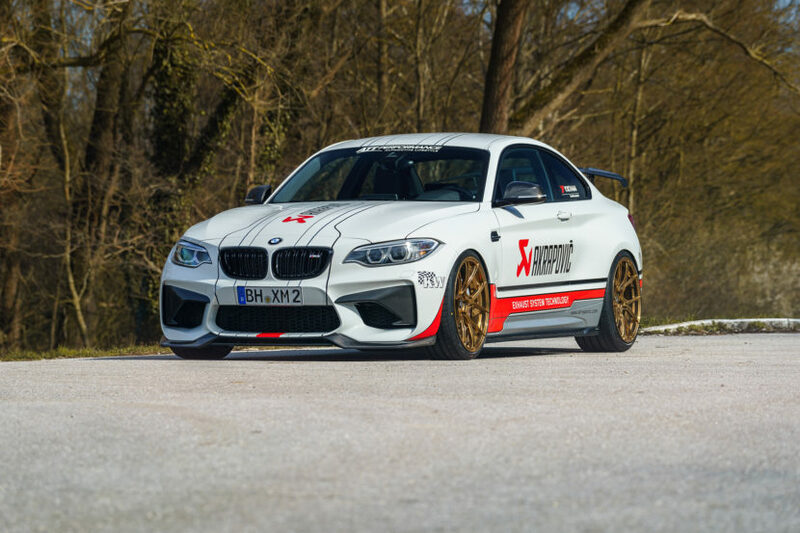 The M2 as we know it is on its way out, being replaced by the S55-powered M2 Competition, yet that will not stop tuning shops from around the world working their magic on the first ever M2 Coupe.